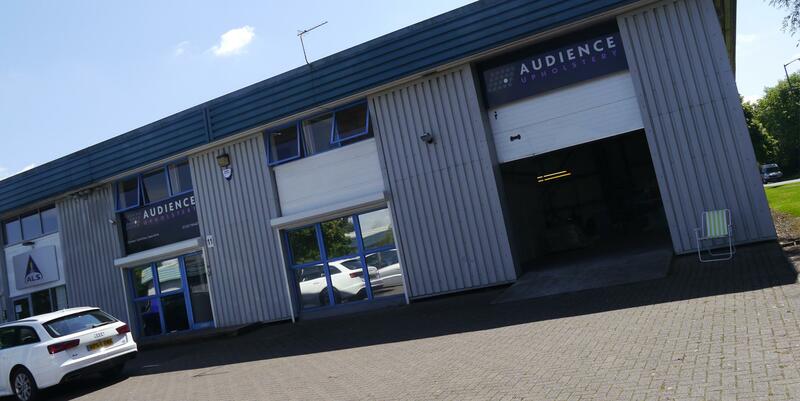 We’re delighted to announce that our new upholstery subsidiary, Audience Upholstery Ltd is now up and running. The business is based in Trowbridge, Wiltshire, just a few miles from our own factory. It is managed by Audience Systems’ former Strategic Purchasing Manager Keith Anderson-Hill. With 22 years’ experience in both production and purchasing roles, Keith will be applying his knowledge of the upholstery process and supply chain to ensure that this fresh venture is a success. The last few weeks have been busy as the new team of four have been busy turning an empty industrial unit into a brand new upholstery facility. Once the fifth member of the team is in place, and the finishing touches to the facility have been completed, we’ll be back with an online tour of the business.